In a really short and quick message from our source, we have learned that Apple has again equipped their next generation iPhone with 512MB RAM. On the announcement of the device, the Cupertino has not revealed specifications in the proper way, so we are again in the doubt circle that the company has not updated the ram of the device. In addition to it, we have just got words from the Infinity Blade Developer last week, which also claims the same thing, but we didn’t get his words in weighs but today after the claim of our own source, we know thinks that the iPhone 4S will have 512MB Ram. As earlier rumors suggested us back in the start of August. In the another story, some geeks around the web has just got their hands on the Apple’s new iPhone 4S and has shoot the first ever hands on video of the device and demo’s the “Siri” new personal assistant. 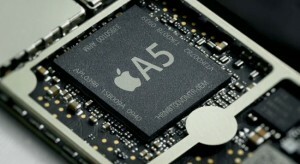 The developer of the forum has also come up with the same thing that the device has got the 512 MB ram instead of the upgraded 1 GB Ram, well now we can claim that the iPhone 4S will have 512 MB RAM, along with the Apple’s next generation A5 dual core processor. Apple has only revealed few of its specifications during the keynote such as “A5-Dual Core Processor, 8 Mega Pixel Camera, iOS 5”. The device is not launched officially but few people has just got their hands on the devices before the launch of the iPhone 4S.